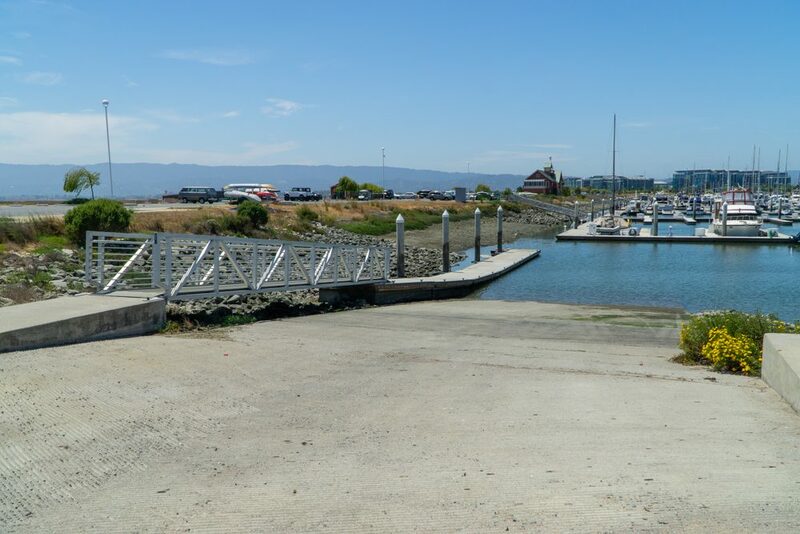 Westpoint Harbor provides access to Westpoint Slough, Redwood Creek, the sloughs of Bair Island Ecological Reserve, and open waters of the Bay. 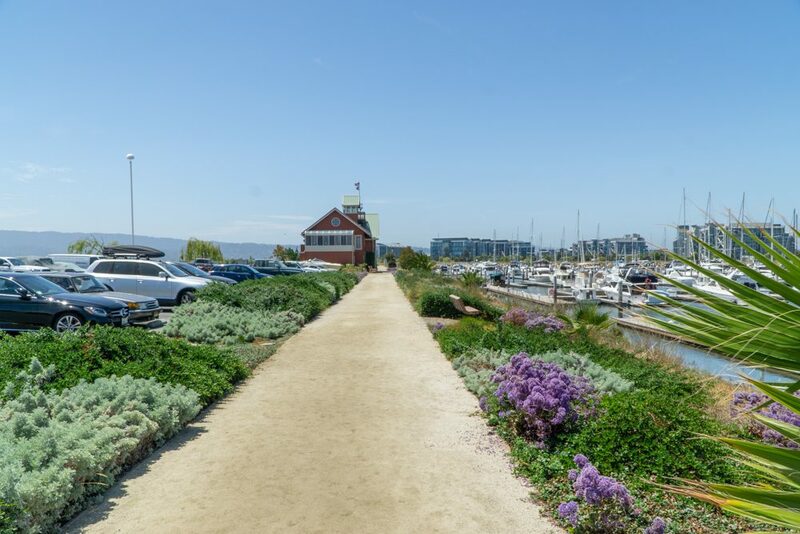 The harbor is the newest in all of San Francisco Bay and features high quality amenities, free parking, picnic areas, boat storage, restrooms, and a concessionaire. 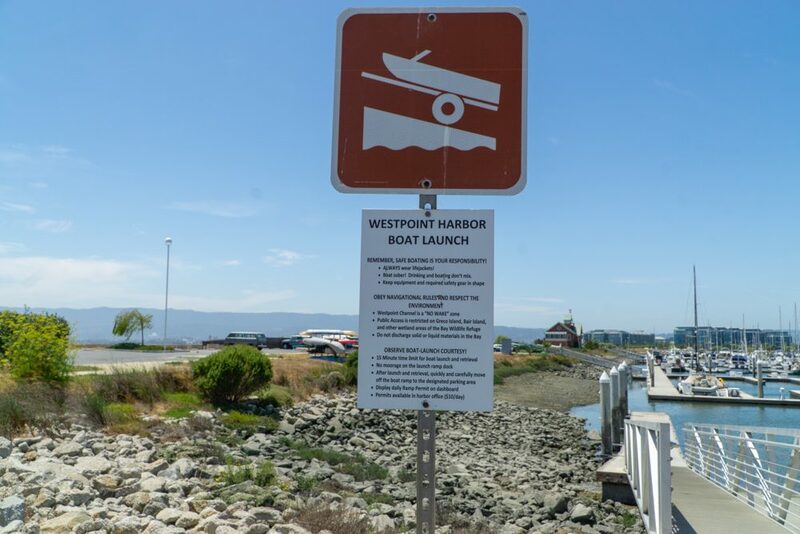 West End Boat Launch – These launch facilities are located at the west end of the Habor and are designed for use by non-motorized small boats. The main gangway is eight feet wide and located close to parking. 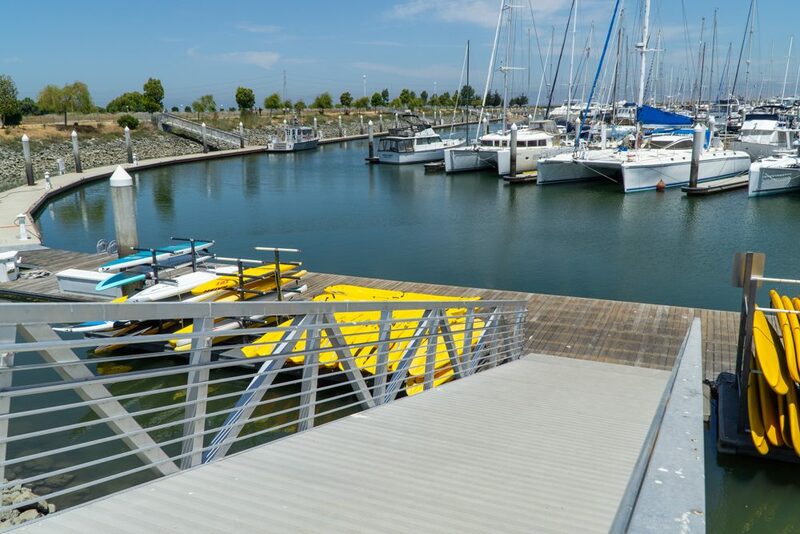 The main gangway is locked during weekdays to protect rental kayaks and SUPs stored on the dock. Access is available upon request. 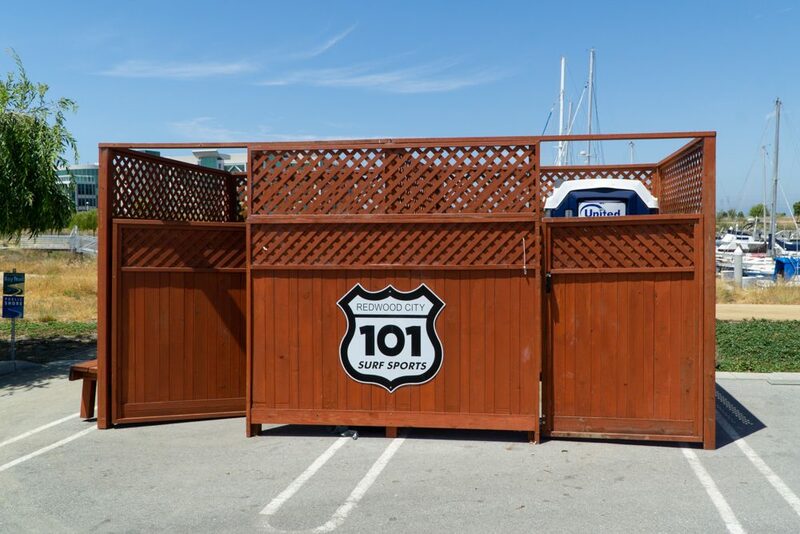 The gangway is currently unlocked weekends during daylight hours when 101 Surf Sports is open. 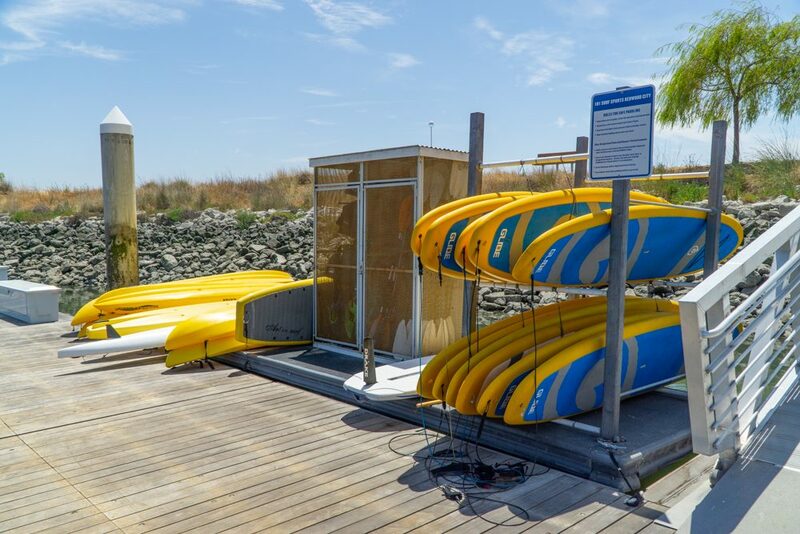 101 Surf Sports offers kayaks and SUP rentals at this location Friday-Sunday and weekdays by appointment. 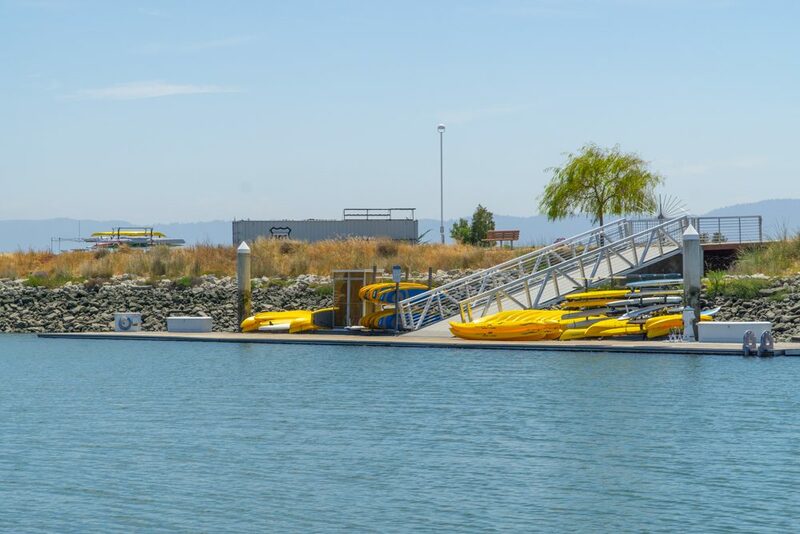 East End Kayak/SUP Launch – A small gravel beach is also located close to the launch ramp (next to the kayak storage rack) on the east end of the marina and is available for launching kayaks and Sups. 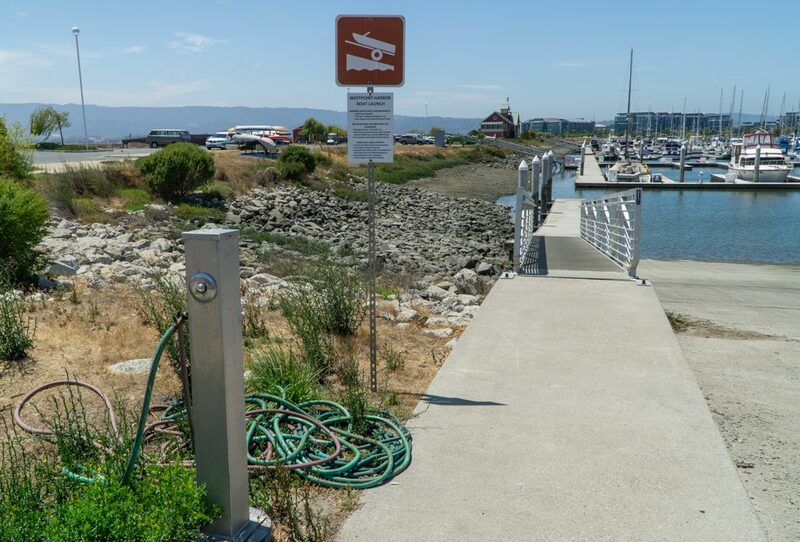 The boat ramp is for vessels on trailers only. Westpoint Harbor is located at the end of Westpoint Harbor Drive. 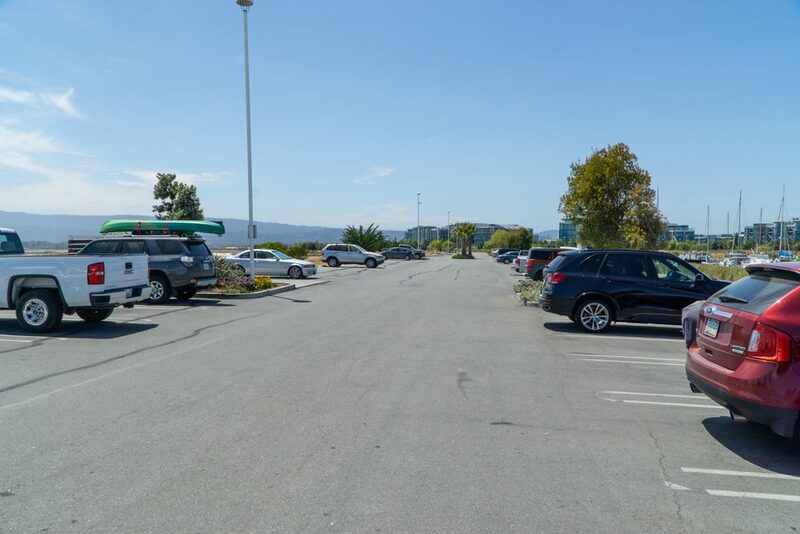 From Highway 101, exit at Seaport Boulevard and head east towards the Port. Where Seaport Boulevard splits, take a right. 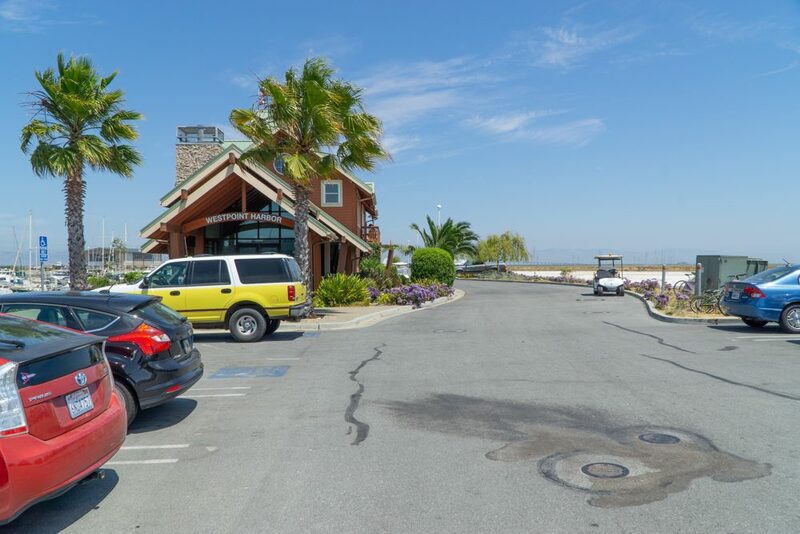 Turn right onto Westpoint Harbor Drive, and the Harbor is located at the end of the road. 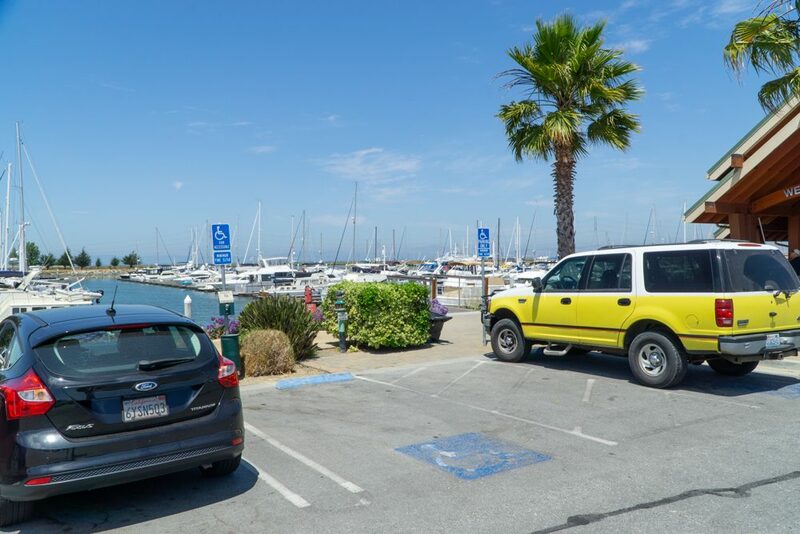 Public parking extends along the entire southern side of the harbor.  Parking is available April – October 5am – 9pm and November to March 6am – 8pm. 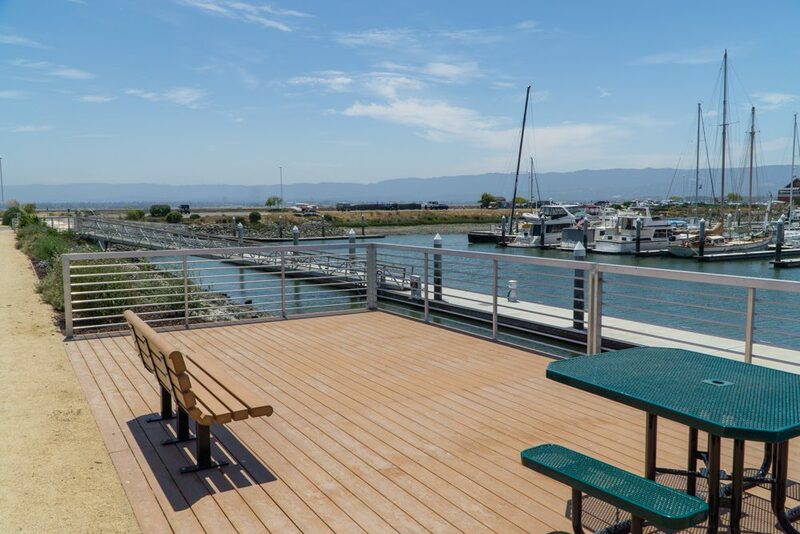 There are accessible restrooms with running water within the marina offices and at the top of the East Boat Launch. These restrooms also include showers. 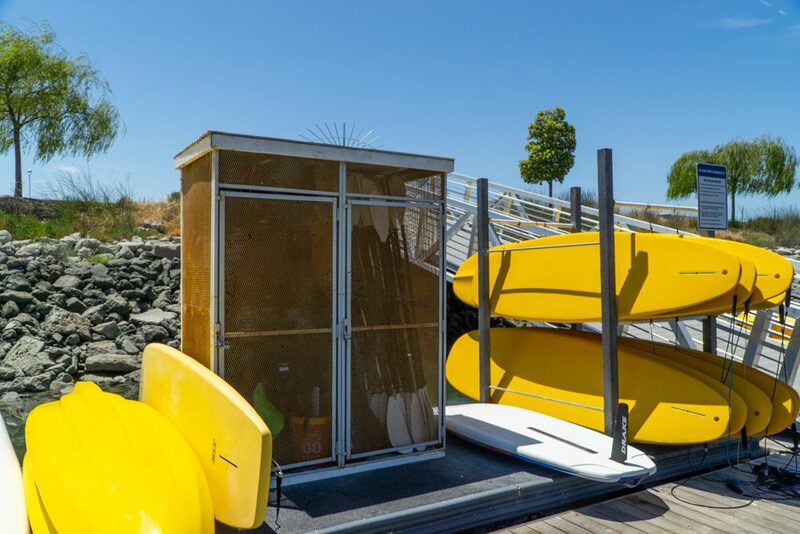 Portable restrooms are located near the top of the West Boat Launch. Restrooms are open during daylight hours. 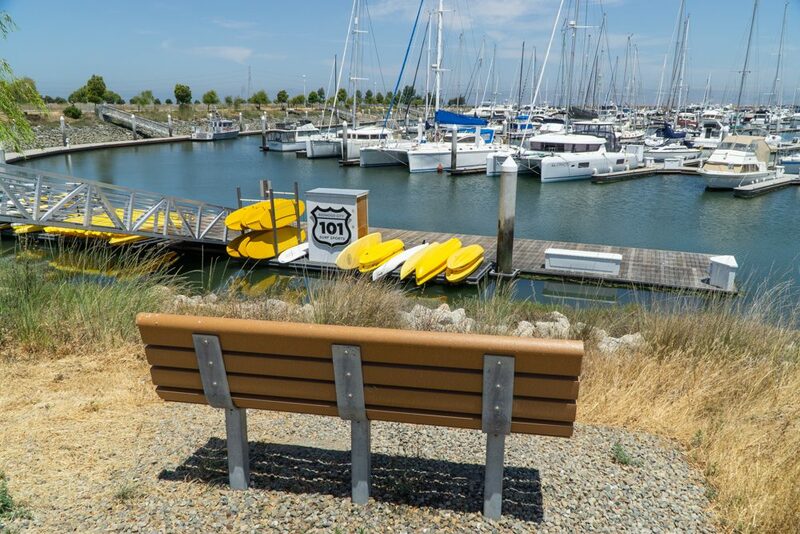 Westpoint Harbor also offers picnic tables, benches, water fountains, and Bay Trail. 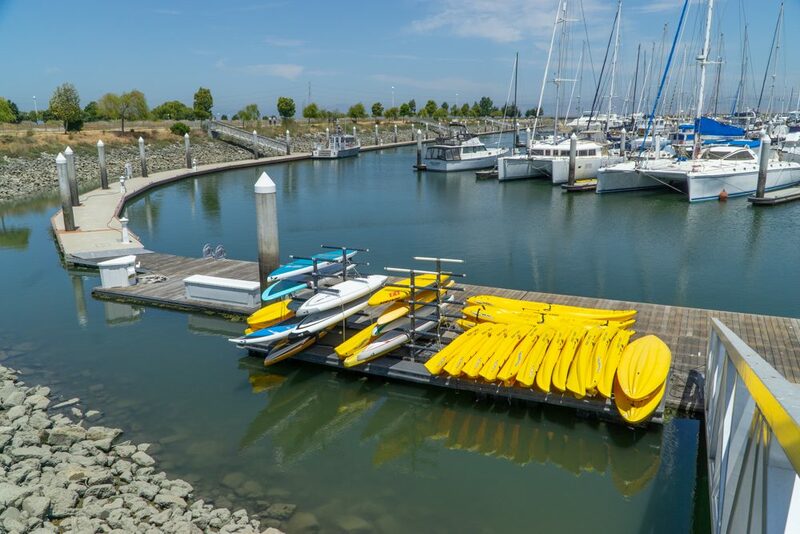 101 Surf Sports offers kayaks and SUP rentals at this location Friday-Sunday and weekdays by appointment. Check their website for hours and additional information. 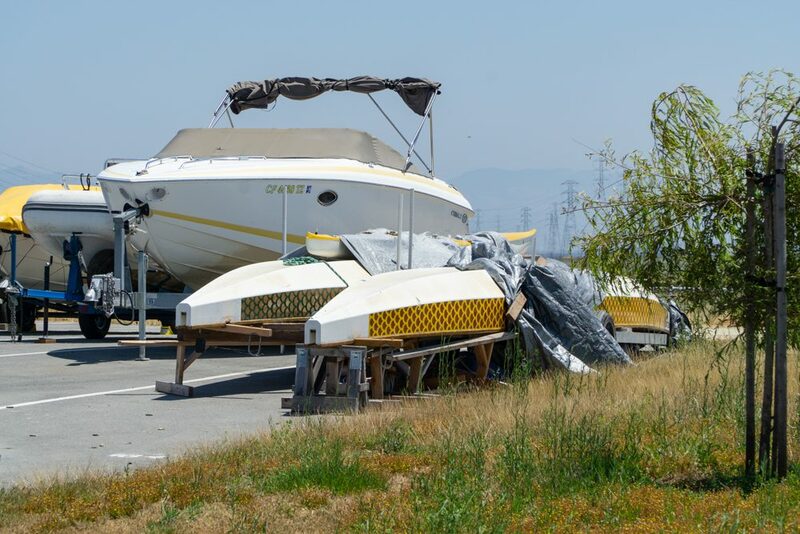 Enclosed boat storage is available for a fee. Please contact 101 Surf Sports for more information. 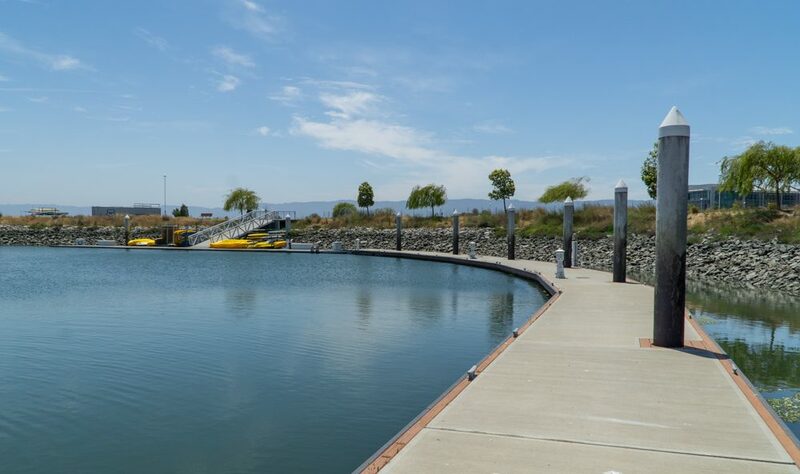 The primary areas for water entry are from the low-freeboard dock at the west end of the harbor, which is accessed from gangways that is designed to ADA slopes. 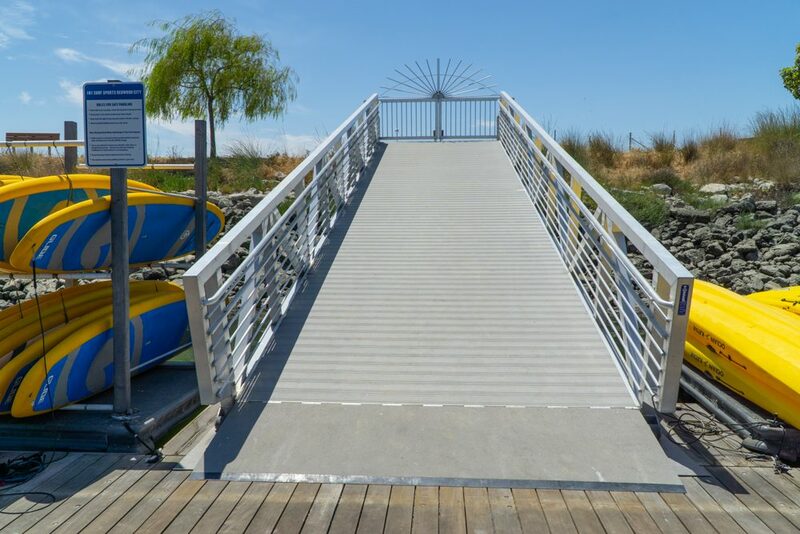 The boat ramp or high-freeboard dock at the east end of the harbor are also designed to ADA requirements. 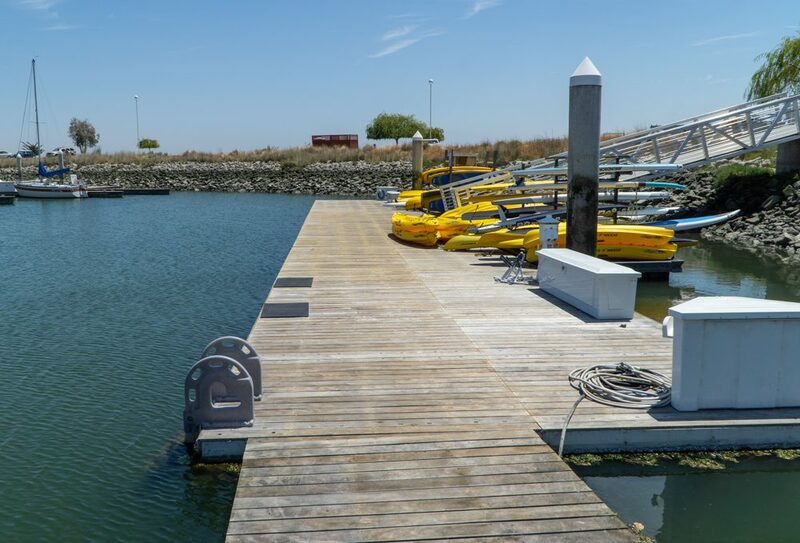 All docks are made of composite or wood and are in good condition. 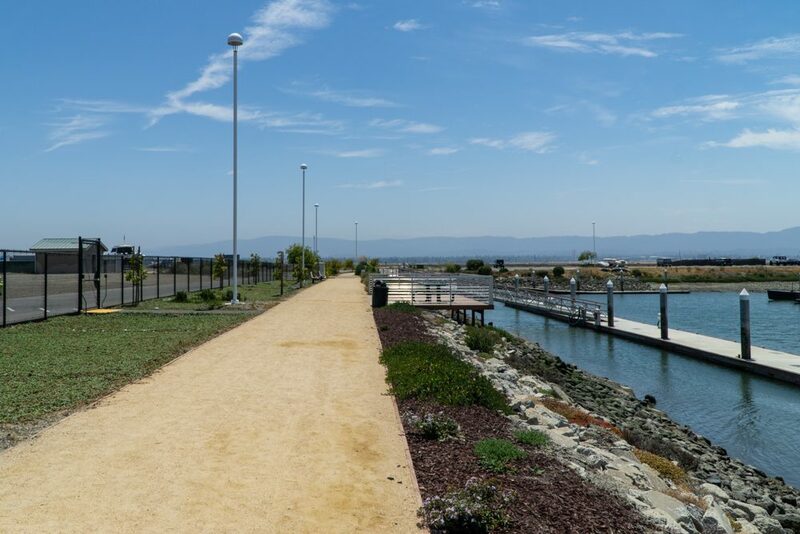 The shoreside facilities offer a path of travel, sidewalks, restroom, and parking that all appear to be ADA accessible and well maintained. Duck hunting occurs in nearby wetlands October to February. 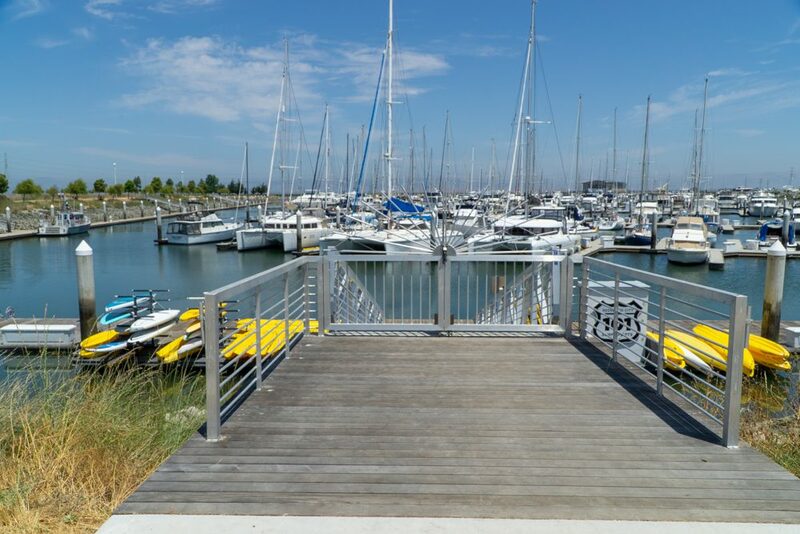 Outside Westpoint Harbor, small craft should be cautious and avoid the barges and other large ships that frequent the shipping lanes along Redwood Creek. 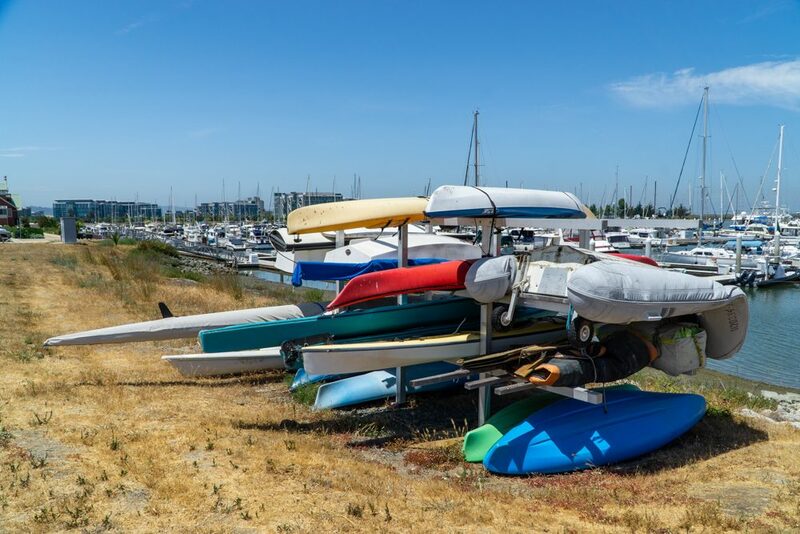 Motorized boats, and sailboats are regularly moving along Westpoint Slough and within the Harbor, so small non-motorized boats need to take caution to avoid these vessels. Winds and currents on the sloughs and nearby Bay can be strong; paddlers need to take care to stay within their skill level. Extensive marshes known to contain sensitive species and habitats occur on islands and along the shoreline in the vicinity of Westpoint Harbor. 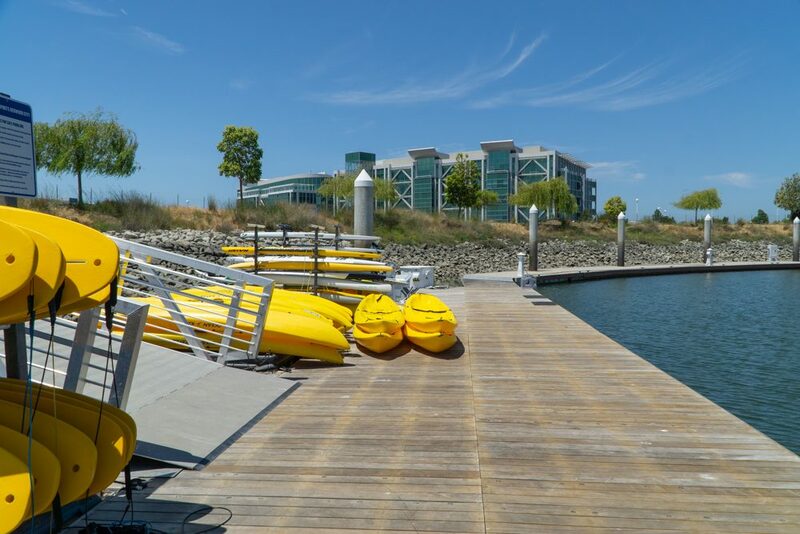 Greco Island is located across Westpoint Slough from the Harbor and Bair Island is located approximately 1.5 miles north. 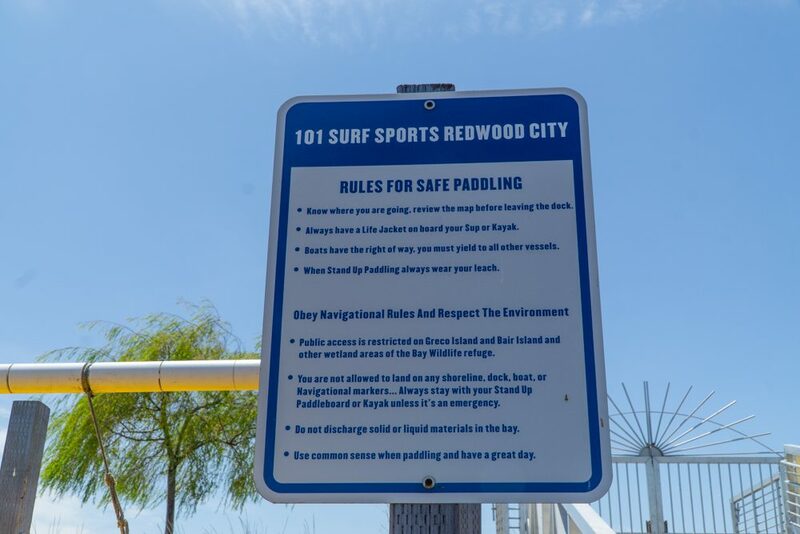 These areas are known to contain numerous rare and endangered species including salt marsh harvest mouse, Ridgeway’s Rail, California least tern, and active harbor seal haul-outs. 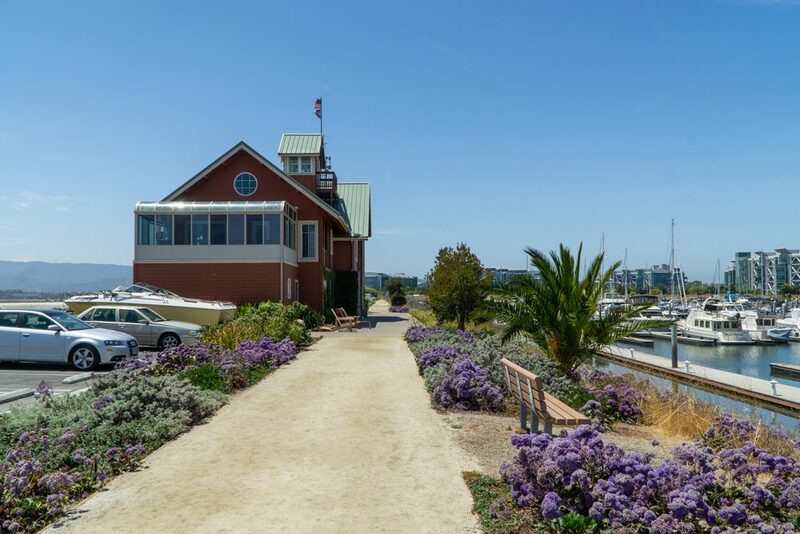 There is no public access onto Greco Island or the outer Bair Islands. Please do not enter small sloughs within Bair Island Ecological Reserve or Greco Island. Please maintain Water Trail recommended buffer distances from wildlife. If you notice a species changing its behavior, you are too close and should quietly back away.